India & Pakistan held a meeting on Kartarpur Corridor issue while tensions are simmering between both countries. 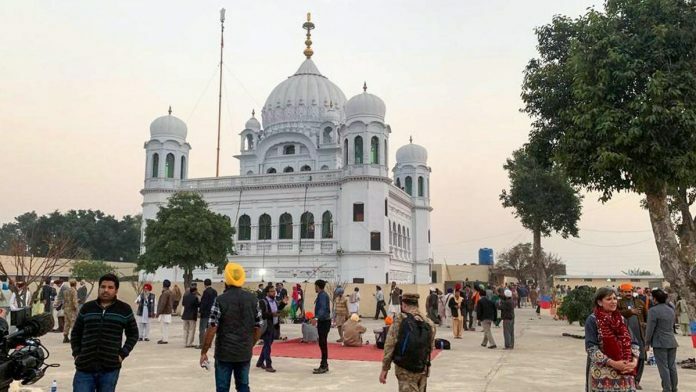 Attari: India Thursday sought visa-free access from Pakistan for 5,000 pilgrims per day to the historic Sikh shrine in Kartarpur. This was conveyed to the Pakistani delegation at a meeting here to discuss the opening of a planned corridor for pilgrims between Punjab’s Gurdaspur district and Kartarpur Sahib across the border. From our side, we have pressed for at least 5,000 pilgrims per day to be allowed to visit the holy Sikh shrine in the initial phase, S C L Das, Joint Secretary in the Ministry of Home Affairs, told reporters. Das said Delhi wanted access for both Indians and people of Indian origin to the shrine, located where Sikhism’s founder Guru Nanak Dev spent the last years of his life. We have also strongly urged them to allow the visit of pilgrims for all seven days a week without any break, he said after the meeting. India emphasised that the corridor should be absolutely visa-free, Das said. There should not be any additional encumbrances in the form of any documentation or procedure, he added. A statement earlier said the first meeting between officials of India and Pakistan to discuss the modalities for opening the Kartarpur corridor was held in a “cordial environment”. “Both sides held detailed and constructive discussions on various aspects and provisions of the proposed agreement and agreed to work towards expeditiously operationalising the Kartarpur Sahib Corridor,” the statement said.